Sandwich fans, take heed: there's a new spot in town to get your fix. The newcomer to the Hollywood Hills, called The Sandwich Shoppe, is located at 3171 Cahuenga Blvd. West. On the menu, look for a variety of sandwiches, salads and bowls, each made using fresh ingredients. Come try signature eats like Erik's Famous Russian Sandwich complete with eggs, potatoes, dill pickles, your choice of meat and more; or The Grilled Cheese with Vermont cheddar, pepper jack and Hungarian gouda. Thirsty? Enjoy one of the spot's freshly-squeezed juices, from carrot and tomato to lemonade and kale/ginger. The Sandwich Shoppe has already attracted fans thus far, with a five-star rating out of six reviews on Yelp. Em K., who was among the first Yelpers to review the new spot on November 25, wrote, "All the ingredients were extremely fresh and top notch. The bread was excellent. It had a great chew/tear/pull factor." 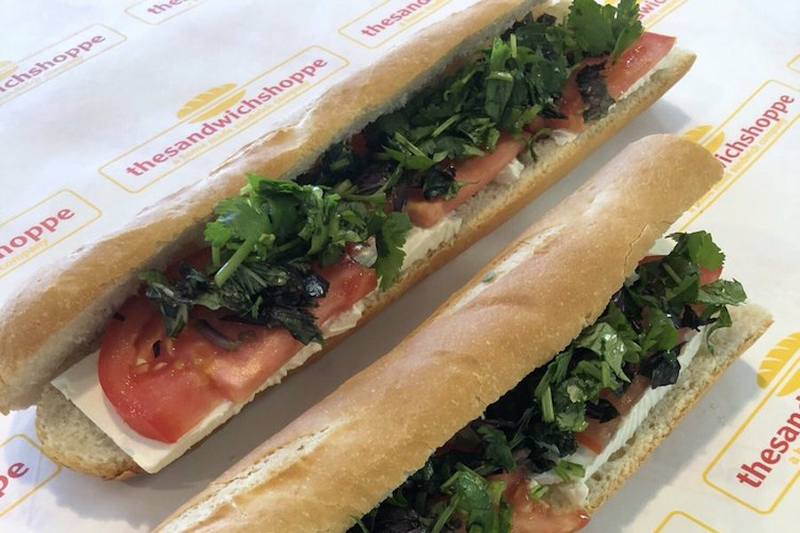 And Jonathan C. wrote, "I've traveled all over the world and I consider myself a sandwich guru -- that was the best tuna sandwich I've ever had in my life! ... You can tell that the owner operates the business out of love."